Buzzfeed has long been the bane of the traditional media world. The web upstart is, after all, the creator of the dreaded listicle and other slights against Western civilization. But just as Buzzfeed surprised the world (or at least that part of the world that works in media) with a recent spate of well-reported, well-conceived articles, they’re surprising a slightly different segment of that world with their unconventional take on data. 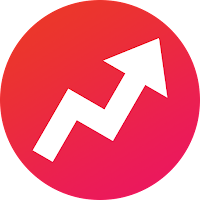 Unlike other web publishers who use data to make sure certain content only appears in front of certain audiences, Buzzfeed uses its data to fine tune its content so that it is sure to attract a specific demographic, who will then take it and share it across the web. In order to enable this phenomenon, which puts me in mind of using certain species of wildflowers to attract butterflies, Buzzfeed has come up with a proprietary data analysis system called POUND (Process for Optimizing and Understanding Network Diffusion) a name I suspect was at created to annoy the same people who hate listicles. What Pound does is track the path of Buzzfeed content across the various social media, providing insights as videos are shared on Twitter, texted, posted and otherwise spread across the world. By understanding these relationships (rather than just tracking them in silos on individual platforms) Buzzfeed gets a more complete view of its world and better insights into why and how its audience shares content. This is a brilliant move in and of itself. But what makes it even more brilliant is that Buzzfeed uses it to enable the Butterfly Effect: by understanding their audiences , they can create articles and videos that will attract those audiences and not have to resort to showing different content to different users. And that in turn enables serendipity and serendipity is the most important thing that’s missing from our hypertargeted digital world. Serendipity means that while I may be a monarch butterfly, one day I may decide to watch a video intended for an arrowhead blue. I may wind up loving it and sharing it and learning all about something I would have missed if I’d been only been reading articles that had been targeted to me. That sort of discovery is so incredibly important and if Pound lets Buzzfeed enable it, then I’m more than willing to overlook the name. Data can be a creativity crippler but it can also be a creativity enabler. It’s all in how we use it, all in how we interpret it. Using data as a tool to enable serendipity, which in turn rewards creativity, is a positive use for data, something we should always be aware of as we rely more and more on statistics to decide what and how we create.